The start of a new school year comes with its own special set of concerns. Parents brace themselves as their kids move into new experiences and new relationships. Kids wonder about fitting in and getting along with their teachers and peers, while teachers worry about connecting with students and helping them learn and grow. 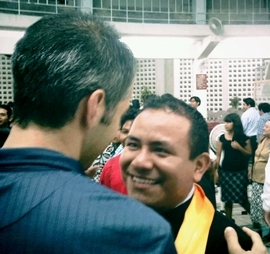 Then, following my first class of Evangelism, I was greeted by Guadalupe, a student from my class the year prior. Isn’t God good? He knows just what we need to keep keeping on. disciplemexico.org © 2019 All rights reserved.